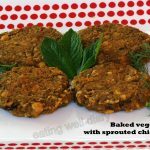 A delicious, protein-rich snack in the form of patties or cutlets made with sprouted beans. I had some leftover black-eye bean sprouts that I had made sundal with, last week. 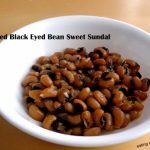 We were tired of eating varieties of sundal for the Navaratri festival, and our taste buds were begging for some other form of snack. 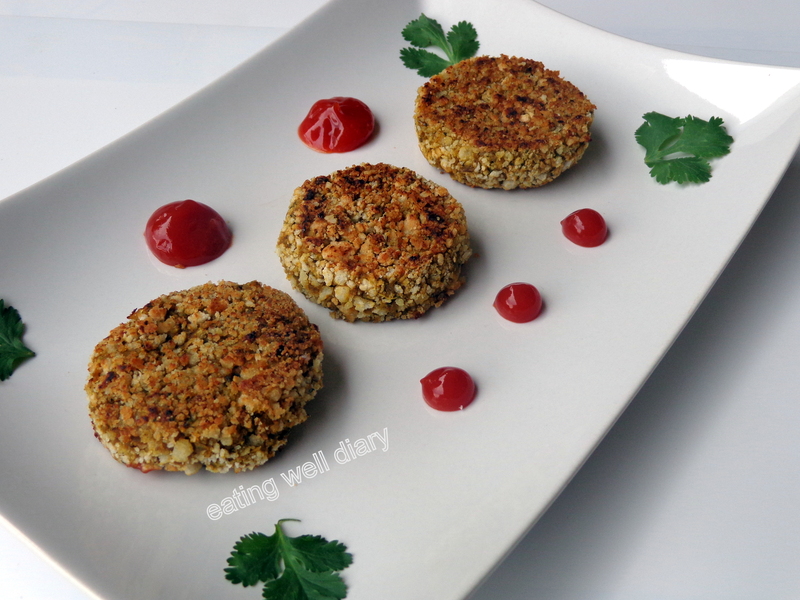 Quickly made some cutlets combining them with sweet potato, and they were very tasty with some ketchup. 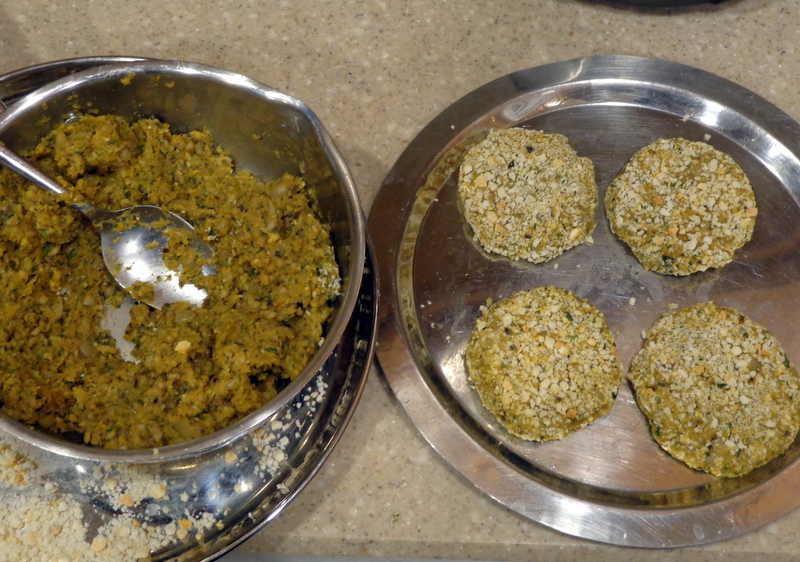 Roughly, this is what went to make 15 cutlets, along with spices. Simple enough, isn’t it? This is my really late entry into Fiesta Friday #36, Angie’s virtual party hosted by Selma and Elaine. 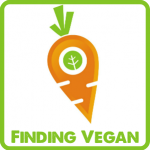 Also sharing this at VVLP #15 in Annie’s blog co-hosted by Poppy and Angela. red chilly powder- 1-2 tsp. 1. 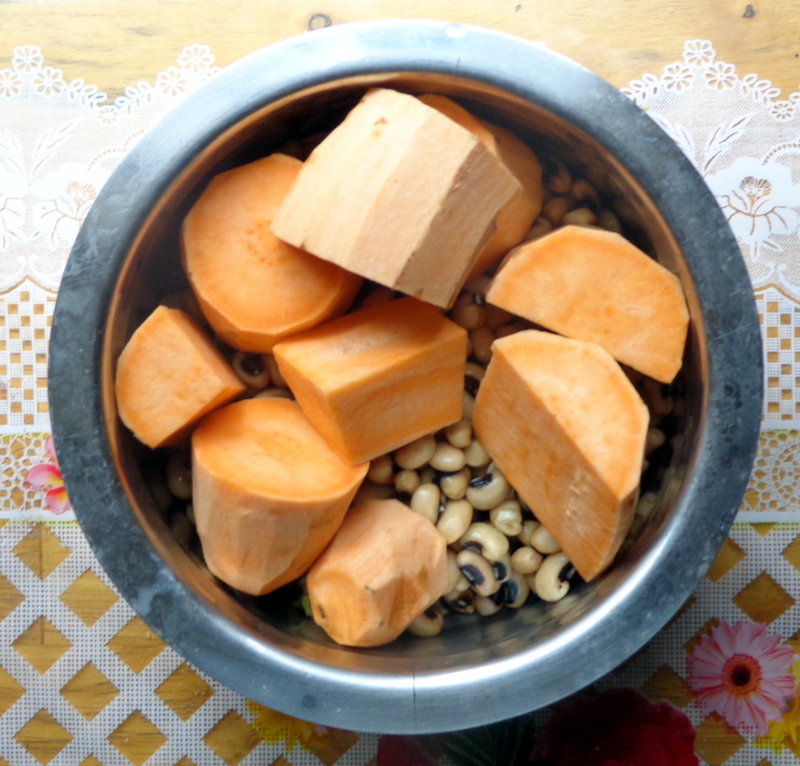 Peel sweet potato, chop into big pieces. 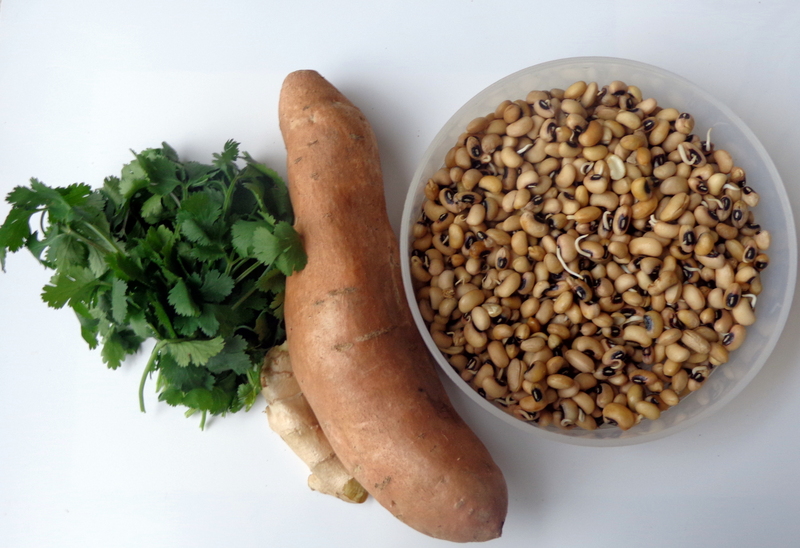 Cook along with beans in a pressure cooker with some water. 2-3 whistles from the pressure cooker should suffice. 2. 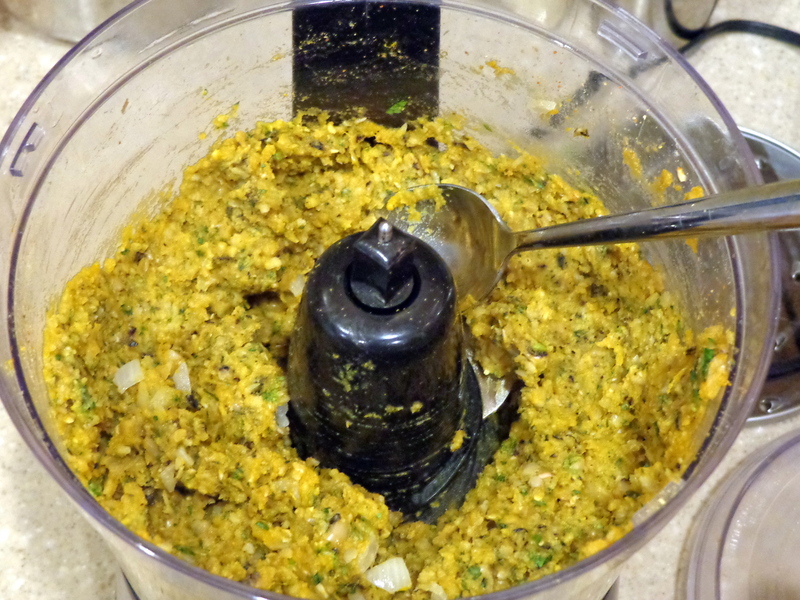 After cooling, drain excess water and process with chopped cilantro, onion, ginger and spices in a food processor. 3. Make small balls with the mixture. If it is too wet, use some oat flour to thicken. 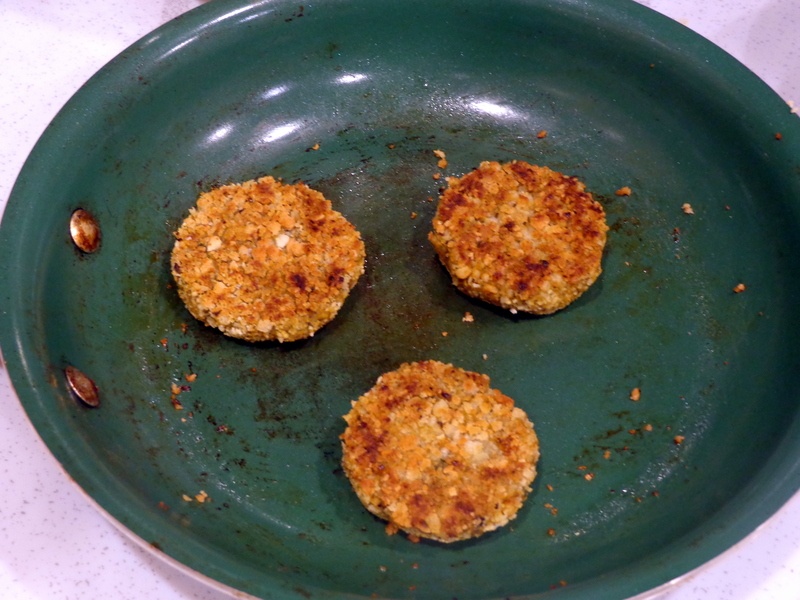 Flatten with hand and coat with bread crumbs on both sides. 4. Shallow fry (both sides) with oil in a pan on medium heat. 5. Allow to cool slightly so that it is not crumbly. Serve with your favorite ketchup or chutney. I bet this is so tasty with the ingredients you put in it. I love the colors. You plated it in such a pretty way, too. Thanks for sharing, Apsara! I’m glad you like the presentation, Shari. Thank you for the comment! Wow sprouts and sweet potato my favourite fusion… looks toothsome Apsara. ..
yes, this combo works well. Thanks, Chitra! Yes, that would be a good combination. I happen to have zucchini with me right now, should try it! Thank you, Elaine and for hosting FF too! Waw, Apsara! 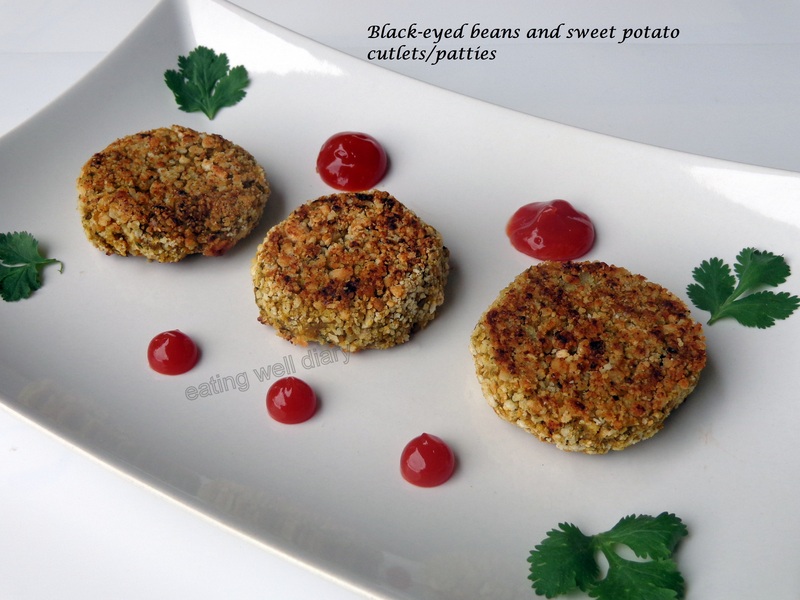 These cutlets look freaking tasty! I can’t wait to make them! Yummm! 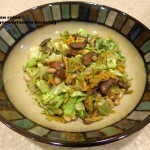 What an amazing way to mix beans and sweet potatoes! This would make a lovely snack on a Fall evening, Apsara! yes, it is. Improved my mood on a gloomy, rainy day! Loved it :). Is that the green pan? Do you recommend using it? Yes, I like the pan, Sonal. Needs some maintenance though- washing immediately, no high heat etc.